Are you in the mood for great country sausage? 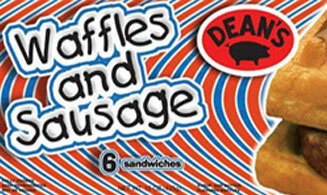 Then try out the various sausage products offered by Dean Sausage Company. Our sausage products can be used for breakfast, lunch, dinner, or at the tailgate. Based in Attalla, Alabama, we are a wholesale food supplier/manufacturer and our sausage products can be found in grocery stores across the Southeast. We make great country sausage from premium cuts of meat, in addition to convenient pre-cooked sausage patties and breakfast sandwiches. Our company has state-of-the art, FDA-inspected facilities to manufacture the most tasty sausage around. Dean Sausage Company founded in 1955 is located in Attalla, AL. 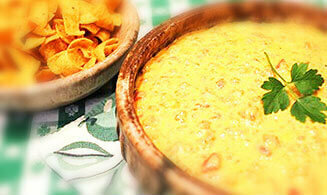 Our range of food products can be found in several grocery stores across the Southern US. 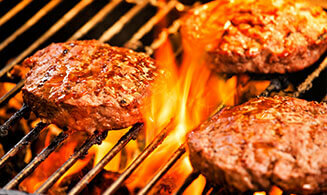 Our products include country sausages in many different flavors – mild, spicy and less spicy. Also available are sausage patties, sausage and buttermilk biscuits and others. 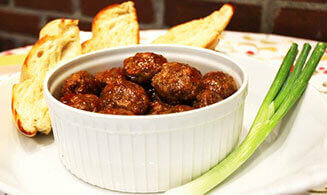 We have tasty recipes available for you here from Rotel Cheese Dip, Holiday Sausage Balls, Brunch Meatballs and others. Learn how to prepare these delicious recipes! Want to get your hands on our delicious products? 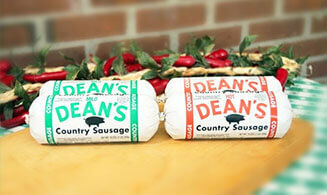 Check your nearest store to grab sausages from Dean Sausage Company. Interested in contacting the Dean Sausage Company to distribute our products or looking to give us any feedback on our products?